This project is an interactive and artistic concept that aims to make a difference within the Saudi community and addresses our daily issues in a fun interactive fashion. 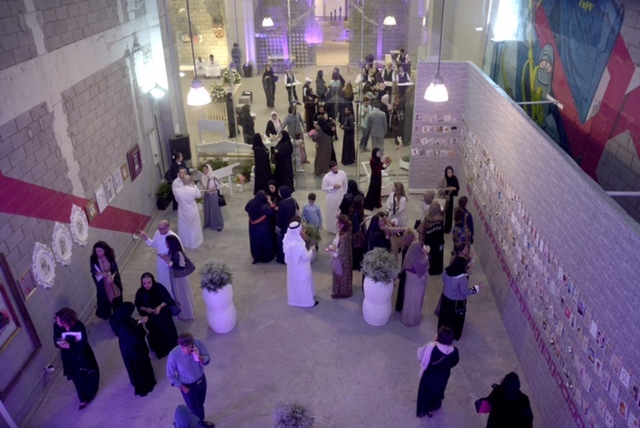 We conducted a One-day exhibition displaying artistic doodles about breast cancer for sale. The selling price range was between 500 - 1000 Saudi Riyals which was contributed toAl-Zahra Association to help patients finance their Mammogram or Ultra sound for breast cancer prevention. It was our goal to help increase awareness in the society centered to the importance of early detection and how it could save lives. We entertained 300 attendees, and collected 151,250 SR from doodle sales. Media support from Al Arabia and MBC has influenced the objective and succeeded in spreading the cause.